A female student at North Pole High School kicked a boy in the crotch when he went into the girls bathroom, according to the school district superintendent. Then she got expelled, her family says. The boy was one of seven who decided to go into the girls bathroom on April 4 “as a form of protest” after a transgender student took a selfie in the boys bathroom, said a statement Monday from Karen Gaborik, superintendent of the Fairbanks North Star Borough School District. The girl’s family declined to comment Monday for this article but confirmed the girl was expelled “indefinitely” and was appealing the expulsion. A boy involved in the incident also declined to comment Monday. On April 1, a student transitioning from female to male took a selfie in the boys bathroom and posted it on Snapchat, she said. Some male students “were upset about the public nature of the post and restroom use,” she said. “A group of male students decided to go into a girls restroom to take a Snapchat of their own, similar to what the transgender student did, as a form of protest,” she said. When the first boy went into the girls bathroom, he was met by a female student. The girl, who was not the transgender student, “kicked the first male student in the groin,” Gaborik said in the statement. Only the first boy had made it past the door frame, she said. The others followed. The district’s Title IX investigator conducted a multiday investigation into the incident, Gaborik said in the statement. Title IX is a federal law that guarantees gender equity in education. 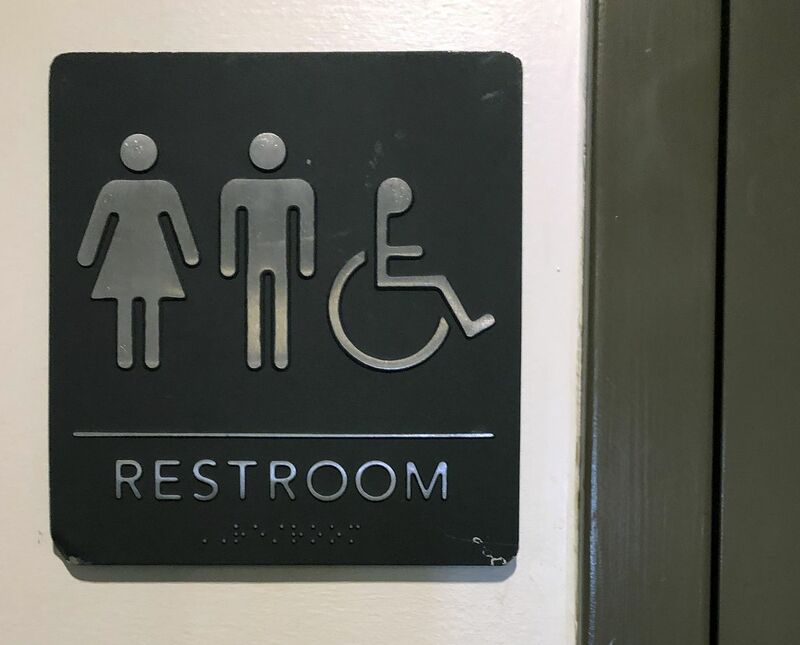 In her statement, Gaborik said there was, and continues to be, conversation among students about transgender students at the high school and the use of restrooms. She said teachers and staff were trying to help with those conversations. North Pole High School has roughly 650 students in grades nine through 12. Staff have known of 16 transgender students at the high school in the past three years, Walker said. Rep. Wilson said in an interview Monday that a constituent first alerted her to the incident. She said she then spoke with Gaborik, and was upset when the superintendent told her that the girl should have contacted school staff, and shouldn’t have used “excessive force.” It doesn’t send the right message, Wilson said.